Rogue River October – When steelhead and duck hunting come together! The Drifter is out on the Rogue River! Plentiful wood ducks along the Rogue River of Oregon. There are quite a few around! Falling for the Carpetbagger, Prince and G.R. Hare’s Ear nymphs. 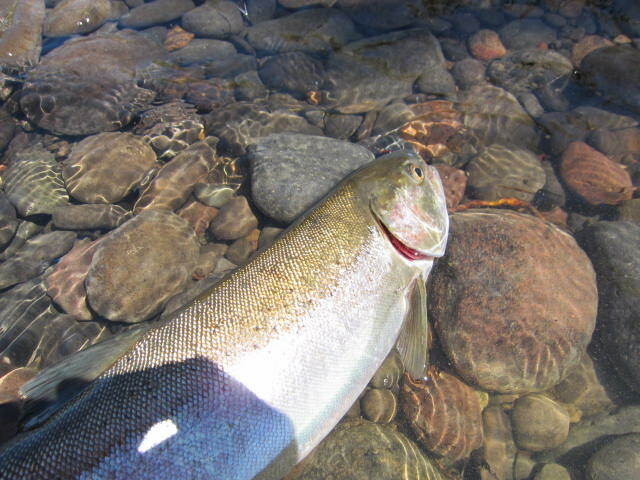 October Rogue River summer steelhead flshing is hot!